A cheerful crowd bubbling with conversation and Prosecco visited the CASSINA store on the MELROSE DESIGN corridor to launch the new version of the LC4 Lounge Chair originally designed by LE CORBUSIER in the 1920s. It was an exercise in brand co-habitation and a unique way to upgrade the leather on the piece that has been manufactured by CASSINA for over 30 years. Made with signature black and tan leather, the “ICONES Collection” will have some nice surprises for the fans of LE CORBUSIER who may have grown bored with the black and silver version. 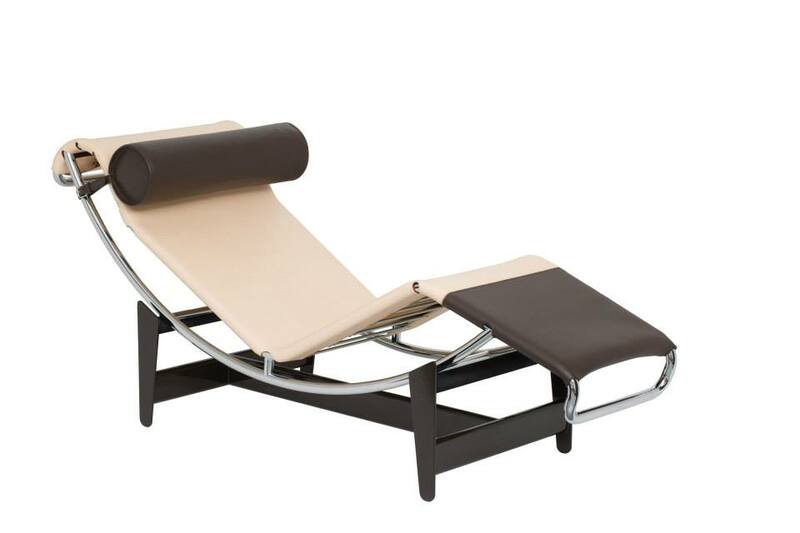 Leather luxury and stainless steel is always a win and this chaise lounge will thrill even the most dedicated purists. So, if you can’t see your way to buying a LV purse or bag, “Le Lounge”, is just the thing. Le Corbusier, a well known name in architecture and furnishings, is often mentioned without her name. In fact, the movement he championed was not a solo act, it was a trio of people: Pierre Jeanneret and Charlotte Perriand. She was the woman, in the room. She began a serious collaboration with CASSINA in 1978 to recreate some of the designs, previously approved by Le Corbusier himself with CASSINA as the authorized manufacturer. Her contribution was to revise the manufacturing of the group of original pieces with modern techniques to make them viable, today. She was also a designer and contributes to this collection as well. She was aware of a “lifestyle” experience that could be achieved by combining “beauty and function” in fashion, interior space, design and furnishings. She is noted as one of the most inspiring women of the 20th century; indeed, while men are most often given credit for this ‘modernist’ movement, it would be a serious mistake to eliminate her important contributions.